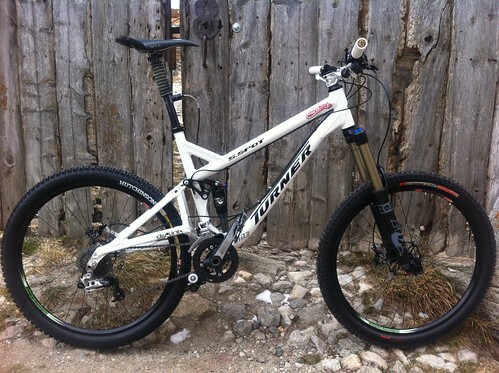 Here is my new “XC” bike, a Turner 5.Spot 2012. I choose this frame for its capacity to put a big smile on your face, its polyvalence and great reliability (no bearings). All the part have been chosen with the best weigth to reliability ratio… see the detailed build further down. We are very excited about our new partner for 2012, DM3. 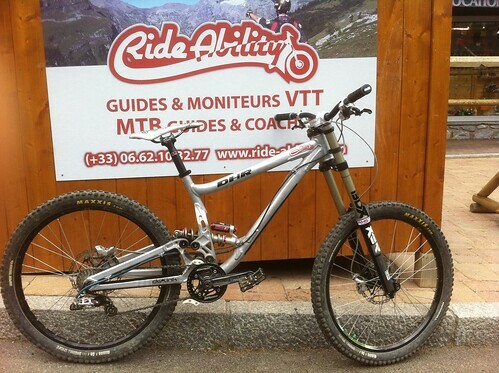 Here is my new Downhill bike! A 2011 Turner DHR. Despite its (glorious) name, it doesn’t have much in common with its predecessor, new geometrie and new suspension (DW Link)… only the will to make the fastest downhill bike available without any compromise is left! Fast Suspension provided the suspensions, a Elka Stage 5 shock, built for the frame and the Fast cartridge (=Elka) for the Boxxer, the grip is endless! Nema’s got an online shop! Use code NEMAFAN for 15% off by April the 15th. It’s time to give your suspensions a bit of TLC… good news, Fast Suspension is offering a 10% discount on all their services in January! Turner 2010 5.Spot frame, size Large, “sangria red”, 2011 rear derailleur routing, very good condition (used for 3 months only). Sold with Hope headset, 1250 euros. Turner 2008 DHR frame, size Large, “sangria red”, custom tuned shock by Fast Suspension, 2nd generation swingarm axle. 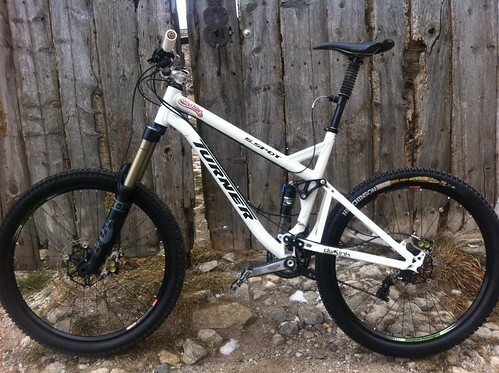 Sold with Hope headset, MRP G2 chain device and Thomson seatpost, 900 euros. 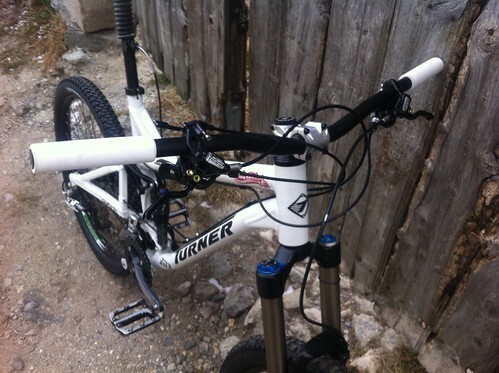 Turner 2008 Rfx complet bike (cf. build). 1800 euros. Great shorts, very nice to use, strong and with a good look. It quickly became my favourites, so I did ride a lot with it. I got a black and a grey one, the grey is in perfect shape, the Nema writing peeled a bit and the colour faded slightly on the black one… not bad after 3 months of riding and washing. The Breather gloves are (as you can guess) very light and breathable. Considering the perforated palm I really though they wouldn’t last long… how wrong was I! It took me 2 seasons to finally go through them. Great glove, comfy, breathable and with loads of feeling out of the palm. I’m using those breaks on all my bikes, they are light enough for enduro riding yet powerfull enough for downhilling. The bucket load of options (rotors, braided hoses, etc…) and the Tech lever, with its adjustments, give you the opportunity to adjust it to your needs and preferences. I love those breaks for their reliability (not one problem with the 4 pairs I had so far), great modulation making braking much more precise and finally, their gorgeous finish. Anything bad? Err… they squeek a bit when wet! A little tip, drop a bit of silicon oil on the pistons when you change the pads to keep them nice and clean of any pad’s dust, they will only brake better! As many others, POC is using a “intelligent” foam for these pads, they are moulding around the knees but get harder upon impact. Very comfy to wear, they stay in place when pedalling and offer good protection, only downside, they are badly vented, it’s pretty hot in there!